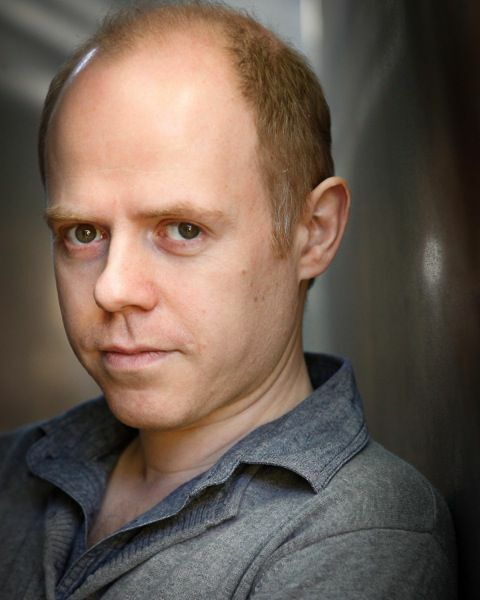 Dan Starkey plays Strax and various Sontaran characters on Doctor Who. He also played Randal Moon on Wizards vs Aliens. He’s coming to Houston on Memorial Day weekend for the big Comicpalooza convention (with so many cool celebrity guests). I did an e-mail interview with him, which you can check out below. How did the roles on Doctor Who come about? I happened to mention to my agent that I’d like to be in Doctor Who, having been a huge fan of the show when I was a kid, and it happened to coincide with their bringing back the Sontarans, unbeknownst to me. I auditioned, and the rubber suit fitted! 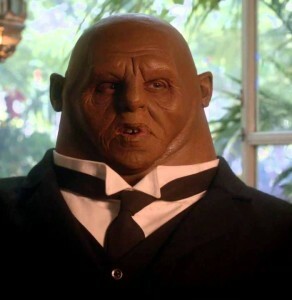 How long does it take you to become Strax? Altogether, it takes about three hours. The majority of that time is attaching Strax’s head and face to mine, and that takes around two and a half hours. The rest of the time depends on whether I’m wearing the blue battle suit or the butler suit. Suffice it to say that the butler suit is a lot quicker to get into than the rather more snug blue rubber number. Well I hadn’t heard that he’d been quite that emphatic, but perhaps he feels that having featured quite heavily in the 11th Doctor’s latter episodes and the launch of the 12th Doctor’s adventures, the Paternosters will be more effective returning after a bit of a rest. Absence makes the heart(s) grow fonder, of course! As we all know, however, Moffatt lies, so it’s anyone’s guess really. I think I can speak for Neve and Catrin in saying that we still enjoy playing the characters! * Editors note: I read that on Wikipedia that Steven Moffat said that. It has not been confirmed anywhere that I have found. So hopefully it’s not true. Is Aliens vs. Wizards coming back? What do you look forward to at the conventions when you go to them? They’re always such mad, surreal, brilliant, sprawling, bonkers events! I love travelling and seeing new places, and wherever I’ve visited there’s always been such a warm welcome from the fans. As I’ve mentioned, I was a huge Doctor Who fan when I was a kid, but it was a much smaller-scale niche interest then, and quite parochially British, so it’s amazing to be welcomed with boundless enthusiasm by Who-fans from all different part of the world. What projects to you have coming up in the future that we can look forward to? Lots of things in the pipeline, but of most interest to Doctor Who fans will be a Big Finish audio adventure I’ve co-written with John Dorney which pits the Seventh Doctor – Sylvester McCoy, late of The Hobbit – against the Sontarans, played by me. Should be out in September on CD and download. 2. Sunday Q&A (“Meet Dan Starkey: a Doctor Who Insider”) 12:30 pm start time (Panel Room 14 – 361B).